Hosted by Andrew Quinn and Darren Mooney, The Bottom 100 is a subset of the fortnightly The 250 podcast, a trip through some of the worst movies ever made, as voted for by Internet Movie Database Users. The Bottom 100 is a special series of episodes that will be randomly interspaced with regular releases, covering the way in which the Internet Movie Database recently renovated their list of the worst movies ever made to include more populist fare. This time Matt Angel and Suzanne Coote’s The Open House. 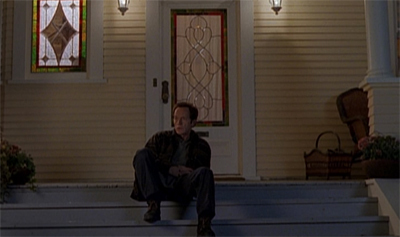 The middle stretch of the first season of Millennium is preoccupied with suburban horror. 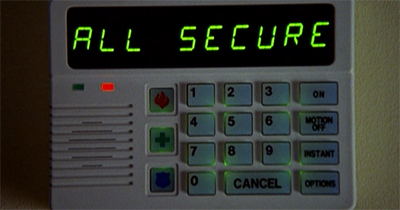 In The Well-Worn Lock, Wide Open and Weeds, Millennium presents the audience with threats to supposedly “safe” suburban families. In each case, the threat is shown not to come from outside these homes, but is instead nestled snugly inside. In The Well-Worn Lock, Joe Bangs is a respected family patriarch and a monster. In Weeds, Edward Petey is both an active member of his gated community and a predator. Wide Open is perhaps a little more sensationalist, featuring a serial killer who sneaks into houses that are on display, hiding inside until after dark, and then brutally murdering any adults in the home. There is an intriguing thematic continuity here between what might loosely be termed “the suburban trilogy.” Indeed, Weeds was shuffled around in the broadcast order so it would not air directly after Wide Open, perhaps because of this similarity. This thematic continuity is quite striking, like the presence of Scully proxies and surrogates in the stretch of the second season of The X-Files running from One Breath to Irresistible or the subtle fixation on “cancer” from the end of the third season into the fourth season of The X-Files. Like The Well-Worn Lock before it and Weeds after it, Wide Open is not particularly elegant in its meditations about suburbia under siege. The story is a bit clunky, prone to the same trashy exploitative excess that can be found in some of the weaker moments of the first season. Nevertheless, Wide Open largely works – it manages to tap into a fairly universal fear in a decidedly unsettling manner, inviting the audience to wonder whether there may actually be monster lurking in their own closets or under their own beds.